For more information on Viking law, the Viking Althing, and other counter-intuitive facts of ancient and medieval history, see Anthony Esolen’s The Politically Incorrect Guide to Western Civilization. 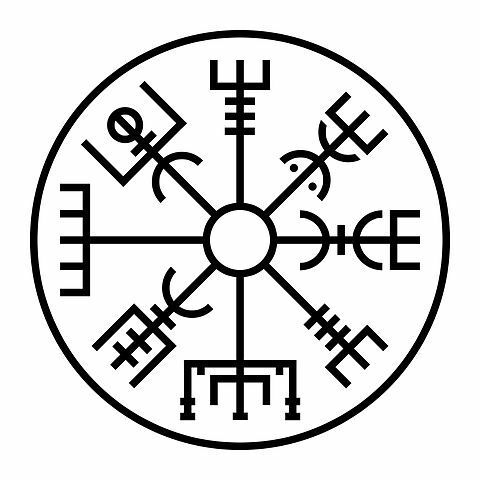 During the Viking Age, the Norse had an oral culture and only rune writing existed. However, the Vikings had both law and government even without written law. 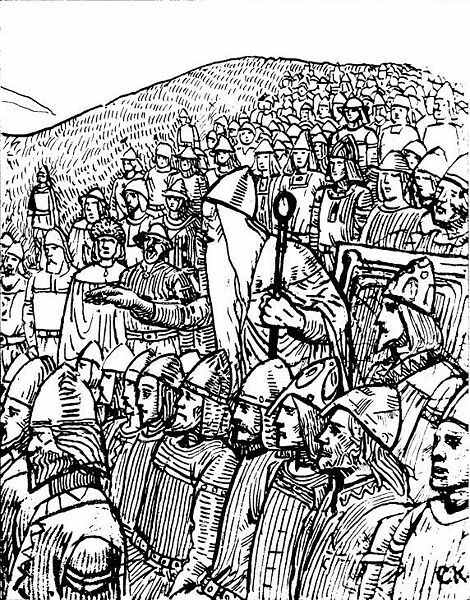 All free men of the Vikings would gather in their communities to make law and to decide cases in a meeting called a Thing. Each community had its own independent Thing. 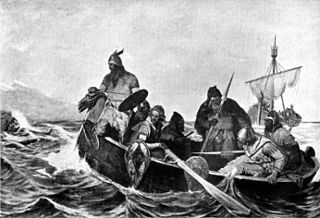 Rather than have all disputes settled by duel or family feuds, the Thing was instituted to both write Viking law and to decide cases of disputes within the law. The Thing met at specific, regular times. Each Thing had a law speaker who would recite the law from memory. The law speaker and the local chieftain would judge and settle the cases of dispute they heard, although all free men of the community had a say. Things were most likely dominated by a local, powerful family or families. At the lowest level were the local, community Things. The community Thing was then represented at the next higher level Thing. 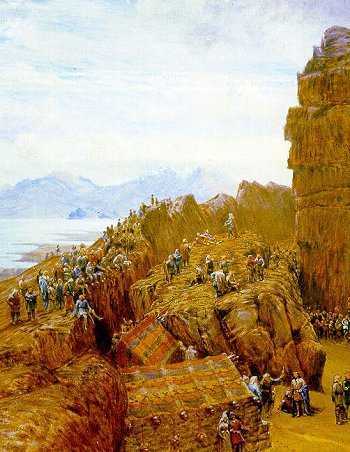 In Iceland, disputes and laws were finally settled at the national Thing, or the Althing. Malefactors who were tried at the Thing and found guilty were either fined, declared semi-outlaw or fully outlawed. To be an outlaw was a dreadful punishment for a Viking. That person was put outside of Viking law, banished from society and his property confiscated. They were to receive no help, no food and no support from anyone. Besides the terrible loneliness, these people could be killed by anyone. They often fled the country and tried to settle in some other location. Besides the proto-court of the Thing, disputes could also be settled by arbitration, where both parties would agree on an objective third party to judge between them. A dispute could also be settled by the holmgang, or duel, which was fought either to first blood or to death. If the dispute was taken to the Thing, the loser could be subjected to a fine, which would be paid to the injured party or to partial outlawry, which would last for three years or to complete outlawry as described above. The Thing had both judiciary and legislative powers, but no power to carry out a sentence. 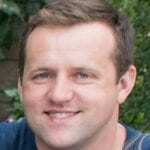 The injured party’s family would carry out the sentence. Politics, community decisions and new laws were also functions of the Thing. These meetings generally lasted several days, often with a festive atmosphere. Traders would bring their goods for sale and merchants would set up booths for their wares. Things were held where water was easily obtained, there was grazing for animals and fishing or hunting would provide food for all. Brew masters brought barrels of ale and mead. During the Thing, marriages were arranged, alliances were crafted, news and gossip exchanged and friendships established and renewed. 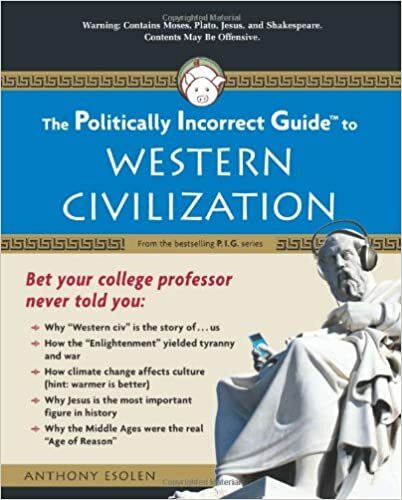 For more information on counter-intuitive facts of ancient and medieval history, see Anthony Esolen’s The Politically Incorrect Guide to Western Civilization © 2008. You can find it at Amazon or Barnes & Noble. You can also check it out by clicking on the buttons to the left.